We have happily supplied a professional and affordable gutter cleaner service in the Walthamstow area for over 18 years. We always go that extra mile to leave all our customers happy, we will fix any leaks free of charge with every gutter clean job. We will make sure all the guttering and downpipes have been cleaned to the highest possible standard. We have all the latest equipment and can reach up to 4 1/2 storeys up without the use of scaffolding, our high level guttering specialists use such tools like the gutter vacuum, harnesses and high reach ladders. We are fully insured to work up to 6 storeys high. All our E17 guttering repair staff will look at the conditioning of the gutter in question and decide on the best repair option for you. Sometimes it may be just a case of using a high quality sealant to stop the leaky gutters, on other instances we might need to give it a coating with a fibreglass sealant or if its beyond saving we will advise you the customer and quote to replace the part in question. All repair work has a 3-10 year guarantee dependant on which course of action was taken to mend the guttering. Badly installed guttering is the last thing any customer would want, when our Walthamstow guttering installation service carry out work it is to the highest of quality. Guttering should always have high points gradually dropping towards the low point where the downpipe is located. If the gutters are not replaced correctly this can encourage blockages and shorten the expected life span of the gutters. We have all the tools and the experience to make sure not only does the work look nice but most importantly it drains correctly. We can also replace fascia, soffit as well as guttering in all shapes and colours. All work has a 10 year guarantee for your peace of mind. Is your roof coated with a thick layer of moss? is it causing mess around your property and constantly filling up your guttering? 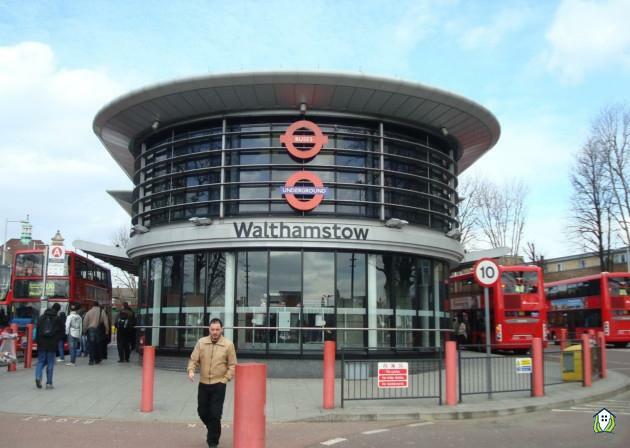 if you live in the Walthamstow area we are here to help. Boasting a wealth of experience on roofs we will not only clean it thoroughly but will do so without causing any damage. We will do this by checking the roofs condition and see what is the best method to clean it. We use equipment like a low powered pressure washer or wired brushes, after every clean we will treat the roof with a special solution so the moss does not come back so soon.